I visited this Nicholson’s pub around 10pm on Friday night. 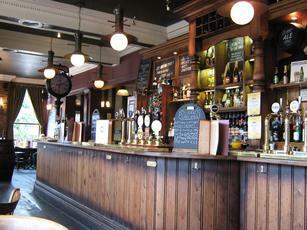 I went straight into the front bar, the place was busy but it was easier to get a seat. Constant chatter amongst the regulars made this pub feel very much like a cosy little local instead of a pub in a major town, credit to the staff and locals, it’s a great trait for a pub like this. Nice old signs around the pub. 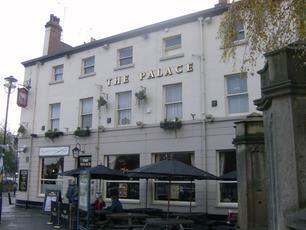 Yet another very decent pub in Leeds. Now a Nicholsons pub with a good selection of ales. We called on a Wednesday evening and it was very busy. It was a free for all at the bar despite the under resourced staffs best efforts. Service was polite and efficent though, I presume the pub was far busier than anticipated. Decent atmosphere and our pints were in condition. Nothing exceptional and grossly expensive for a northern town boozer. Won't be visiting again. There are better places in Leeds. Not too busy on Saturday morning, with most customers seemingly groups of young men eating breakfast, so I had no trouble getting served: indeed, the service was quick and cheerful and staff generally friendly. There was a good choice of ales and overall it was a pleasant place to sit in the window with a pint whilst waiting for the rain to stop. It doesn't seem to matter what time or day you turn up here nowadays is always seems to be rammed with hen parties, due to the proximity of a recently-constructed budget hotel. Whether this is a good thing or a bad thing is up to you but if you fancy a leisurely pint with your paper I'd try elsewhere.